When it comes to vacation planning, booking your flight, hotel and rental car can be taken care of in just a few minutes in front of your computer. Researching and booking all the fun stuff you’re going to do on that trip, however, gets a bit more complicated. Most of us turn to friends and review sites to pick the perfect activities for our getaway. But once we’ve found them they’re often several phones calls, emails or in-person trips to the ticket counter away from becoming a reality. While most of the vacation industry has gone digital, many tour and activity operators are still booking over the phone and tracking requests using pen and paper. Enter Peek, an activity planning and booking site that hand picks attractions at destinations across the U.S. and Europe, and starting this month in Mexico. Each activity listed on the site is vetted (and often tested) by staff, and everything is available to book instantly. Not sure what you want to do? Peek offers “Perfect Day” suggestions for a number of destinations based on some of its most famous tastemakers. You can experience San Francisco as a local through the eyes of Jack Dorsey, one of the service’s investors (hint: it involves pizza), or check out some of actor Adrian Grenier’s favorite spots in Brooklyn. Most of the suggestions can be booked instantly on Peek, however, many include free activities as well. Peek initially launched as a web service for booking activities in September 2012. Since then, it’s launched an iPhone app and created a back-end system for the companies it works with -- an unplanned but necessary step in its evolution. “We realized that the tour operators we were working with didn’t have a lot of technology, so when we were trying to make bookings for Peek.com customers, it would take a lot of time,” says co-founder Ruzwana Bashir. Many businesses were still relying on pen and paper to keep bookings organized, a practice that made their reservation systems slow and prone to errors. “We started looking into it a bit more and realized what they needed to do was bring on calendaring and scheduling systems so they would be able to utilize us,” she says. 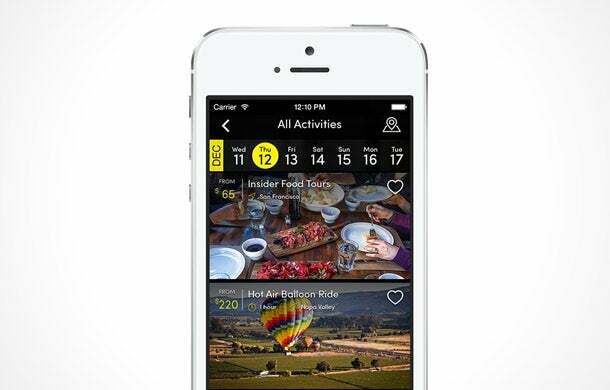 It was a realization that led the company to build an end-to-end solution for tour companies. Related: Relax! Come Back Stronger by Taking a True Day Off. Similar to how OpenTable handles the entire reservation system for restaurant bookings, Peek handles travel bookings from start to finish. Customers can reserve tours online through Peek and the attraction’s website, and when they arrive operators can check them in or sell a last-minute on-site ticket to their friend, all from Peek’s booking system. The system has brought a number of companies into the digital age and opened them up to a whole new world of customers. “What happens when everyone comes online is you can create a global distribution system because you have access to all the inventory,” says Bashir. That means that someone on the other side of the country or the other side of the world can book the same tour from the comfort of their iPhone without actually having to interact with the provider. In turn, tour companies are better organized, and poised to grow bigger and better in the future. Plus, we can all book some pretty epic adventures.